The Beatles once sang, "The best things in life are free." That song's actually a cover, but they were on to something: everyone loves free stuff. Traveling on a budget leads to making plenty of interesting choices. While "free" doesn't necessarily mean great, sometimes, it absolutely does. This free stuff? Totally worth your time. These are the best things you can do around the world that don't cost a dime. Need a lift? 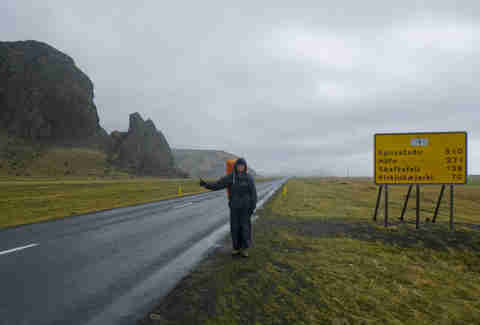 Hitchhiking is one of the most common ways travelers and locals get around in Iceland. The country is ranked one of the safest in the world -- in fifty years since gaining independence from Denmark, police have only fired a weapon once! Even single women hitchhike here. Buses cost up to $100 and don’t operate year round, and there renting a car can obviously be expensive. There’s no cheaper, better, or more interesting way to get around this beautiful country. Looking for a place to stay while on the road? Want to meet locals to show you around? Use the website Couchsurfing to find free places to stay. Whether you sleep on a couch, a bed, or in spare room, Couchsurfing gives you the opportunity to meet locals who can show you what to see and do. And of course, locals know the best stuff that's cheap and free, too. Because "free" is a word loved the world round. Southeast Asia’s wildest beach party is open to the public, and doesn’t cost a dime. 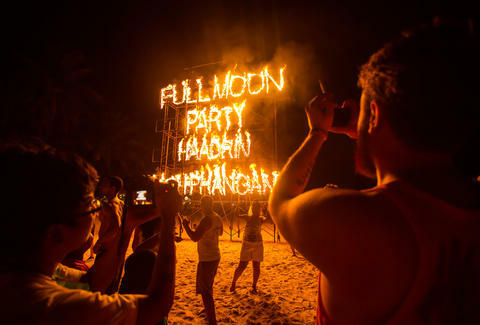 It takes place on the full moon of every month (as well at the half moon) on the Thai island of Koh Phangan. Started in the 1980s as a hippie dance fest, this party has grown in the last thirty years into a gigantic beach rave filled with slides, DJs, buckets of booze, and visitors from all over the world. If you skip the booze, you can dance the night away and watch sunrise without ever spending a penny. On the first Sunday of every month, the amazing and expansive Louvre is free to the public. You’ll get to wander this royal palace without having to shell out the standard 20 Euro entrance fee. Get there early to avoid the crowds. Save the big attractions like the Mona Lisa until closer to closing time when the crowds have dissipated! Because if you've seen The Da Vinci Code, you know everyone's dying to see the Mona Lisa. And that Tom Hanks had really terrible hair. Sure, the pound is always crazy strong and the UK can easily burn through all your money because of it. But every national museum in the United Kingdom is free to visit -- and not just during specific hours. 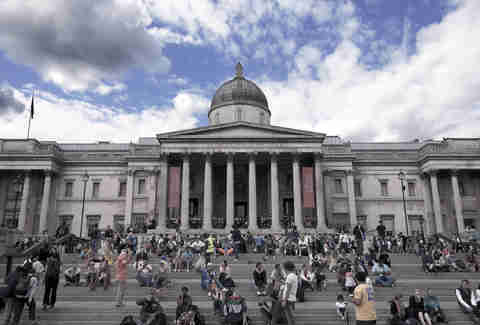 The country has tons of museums, especially in London. My favorite is the British Museum, featuring tens of thousands of historical artifacts, including the Rosetta Stone. The freaking Rosetta Stone! If you're into art, you can see Rothkos at the Tate Modern, or classical pieces at the Victoria and Albert. But don't sleep on The Scottish Museum of Art in Edinburgh -- there's more to the UK than just London! Get your bearings and learn some history while also getting your blood pumping. I love walking tours and think they're far too overlooked. You can’t understand a place if you don’t know its past. Free Tours by Foot and New Europe Tours are my two favorite multi-city companies. And if you really enjoy the experience, you can tip the guide. But that's entirely up to you. 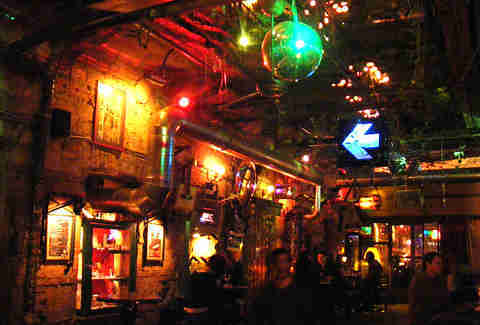 Ruin bars are pop-up bars built in abandoned buildings and lots around Budapest. Sure, maybe it just sounds like a European Detroit, but in reality, these are some of the coolest and hippest bars in the world. Spend a night bar hopping, looking at art installations, paintings, and funky green spaces designed to make the bar as much a living work of art as a place to drink. This website maintains an updated list of the current bars in the city. Every day an estimated 40,000 people visit here for a free meal of chapattis, curry, and rice. After you circumnavigate the Amrit Sarovar lake surrounding the Golden Temple, join the line for food. It's really a one-of-a-kind experience, and will make you appreciate the sheer number of humans in India. No, not Darryl Strawberry. Although he was the best player on that '86 team, hands down, The New York Metropolitan Museum of Art. It costs $20 to visit, but if you read the fine print, you'll see that figure's just a suggested donation. You pay what you want. Can you imagine if restaurants worked that way? Actually, lots of actors and singers would be out of money. Probably not a great idea. Spend the day exploring one of the largest museums in the world (the Egyptian and Impressionist collections are outstanding), for a grand total of $0. 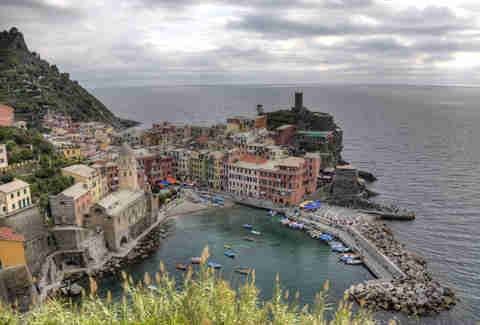 Italy’s Cinque Terre (five towns) lie on the east coast of country, covered in hiking trails that lead you along the coast, into the hills, near old Italian villas, and through terraced vineyards overlooking the sea. 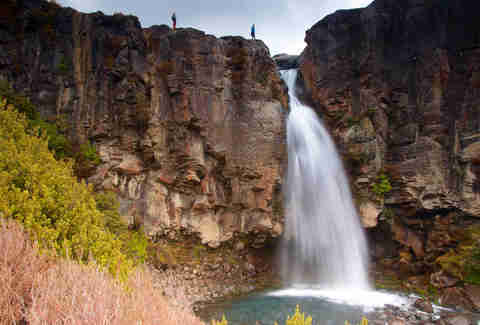 There's a reason the region is on most every backpacker's itinerary. But not every one is of the novice sort: some trails can take up to a day to finish. But it's absolutely worth it to explore one of the most beautiful and serene parts of Italy -- and that's saying something, given the country's overall beauty. Give back and get something in return while you travel. WWOOFing lets you work on farms around the world in exchange for room and board -- and you don't even have to know how to milk a cow or plough a field. You get to stay in a destination longer, meet other travelers, learn a skill, and save money. It's a win-win-win-win. Or maybe if you include the farmer's perspective, it's a win-win-win-win-win. But you get the picture. Head to Coral Bay, the best beach town in Australia, and swim in the Ningaloo reef. While the Great Barrier Reef gets worldwide renown, the Ningaloo is much better preserved and sees fewer visitors. 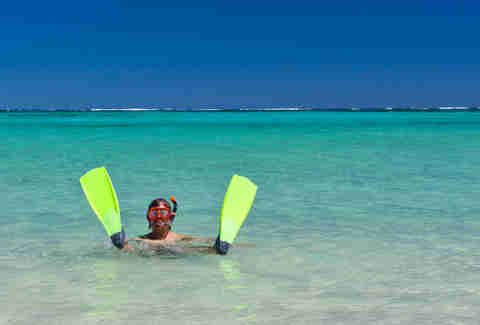 Plus, Ningaloo is so close to shore, you can just swim out from the beach. The current will even take you from one end of the beach, so you can effortlessly swim with the fishes. But in the literal sense -- not from getting concrete shoes by a mobster. Wanna see the desk where Thomas Jefferson wrote the Declaration of Independence? How about the hat Lincoln wore when he was shot? Or Edison's first light bulb for public display? All Smithsonian museums in the US capital are free to enter, including the National Zoo, and these are just a few of the interesting artifacts you'll find. With dozens of museums, the Smithosonian can eat up entire days without you ever spending a penny. Plus, if you're in DC during the sweltering summer, it can just be a great reprieve to get bathe yourself the A/C. Billed as the greatest one-day hike in New Zealand, the Tongariro Alpine Crossing takes you through forests, by emerald sulfur lakes, and across the volcanic mountains that provided the backdrop of Mordor in Lord of the Rings. If it's good enough for Frodo, it's good enough for you. It's a strenuous day hike with an early (5am) wake up call, but this trek was the highlight of my entire time in the country. If there’s one thing you do in New Zealand, this is it. Public transportation in New York might be crowded and dirty, but this is not your typical public transportation. This ferry shuttles people between Manhattan and Staten Island, and offers an expansive view of the Manhattan skyline and the Statue of Liberty over the course of 25 minutes. An estimated 70,000 people make the trip daily, and if the city started charging just $4 per tourist ride, it estimates it could make $2.4 million annually. Doesn't seem like that's happening any time soon, fortunately. Regardless, when you’re done, you can visit Staten Island, one of the least-visited parts of New York City. Seriously, who goes to Staten Island that doesn't live there?